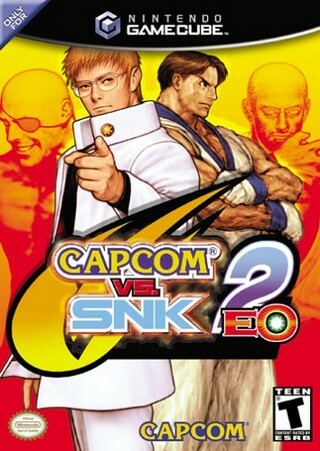 Capcom Vs SNK 2 is a fighting game developed by Capcom that combines the rosters of multiple games into one. These games being Street Fighter, different variations of Street fighter 2, Street fighter 3, Street fighter Alpha 1 & 2, Rival Schools, Final fight 1&2, and Darkstalkers (theses are all from the Capcom side). The game also contains characters from the developer SNK. 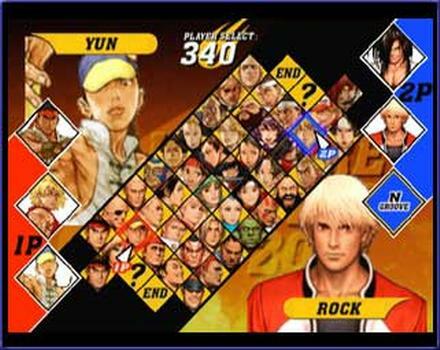 They come from the games Samurai Showdown, Fatal Fury 1 2 & 3, different variations of King of Fighters, Psycho Solider, Fatal Fury: Mark of the Wolves, and Art of Fighting. Mixing up so many characters from different fighting games always ends up with balancing issues and this game is now different. 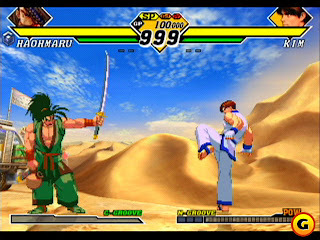 Overall it does prove to be a good fighter though. I bought it many years ago, and loved it. I was such a fighter noob at the time, so the c-stick moves mode was pretty fun for me.